Shovel Knight is the gift that keeps on giving. King of Cards, the final campaign, isn’t even out yet, but Yacht Club Games has already announced another expansion. Shovel Knight Showdown is a multiplayer-focused addition coming in 2019. It will add local multiplayer modes. In Gem Clash, each player will step into the boots of a knight and try to get more gems than anyone else before time runs out. This will mean scurrying for drops and attacking other players for gems. 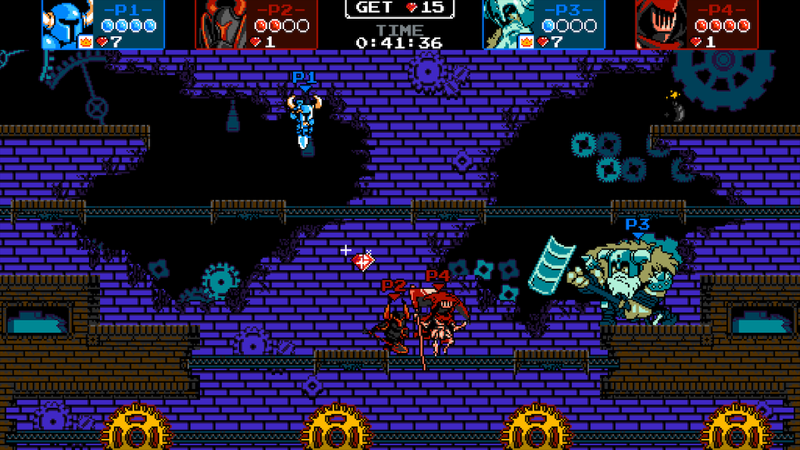 Outside of Gem Clash, Shovel Knight Showdown will also include 1v1 matches, team-up rounds, and a story mode. We don’t know what the story mode will involve yet, but Yacht Club Games will be tailoring the experience to each character. Shovel Knight Showdown will cost $9.99 separately on its own and be available as a free update to Shovel Knight: Treasure Trove. It will be available in 2019 for the PlayStation 4, Xbox One, Nintendo Switch, and PC.